Lots of poop around our place, but we’ll let it slide. Looking forward to the Greek food truck that will be here. Coffee machine should accept travel mugs instead of small cups. We’re all movers and shakers here. This community is great to live in. My puppy and I love the pet amenities and I love the property and the gym! The staff are super supportive and helpful! I genuinely love living at the Ashley. I have been here for about 9 months so far, and I have zero complaints. The staff are awesome, and very friendly. They are always saying hello and asking how I am. I love the amenities, and the community itself is in amazing condition. I moved here last minute, after moving across the country from California to South Carolina, into a dump of an apartment. I was lucky enough to get out of that lease immediately, and found the Ashley the next day, thankfully! I love it here, and I know any other new residents will, too! Just fabulous, great management and maintenance, the property always looks beautiful. 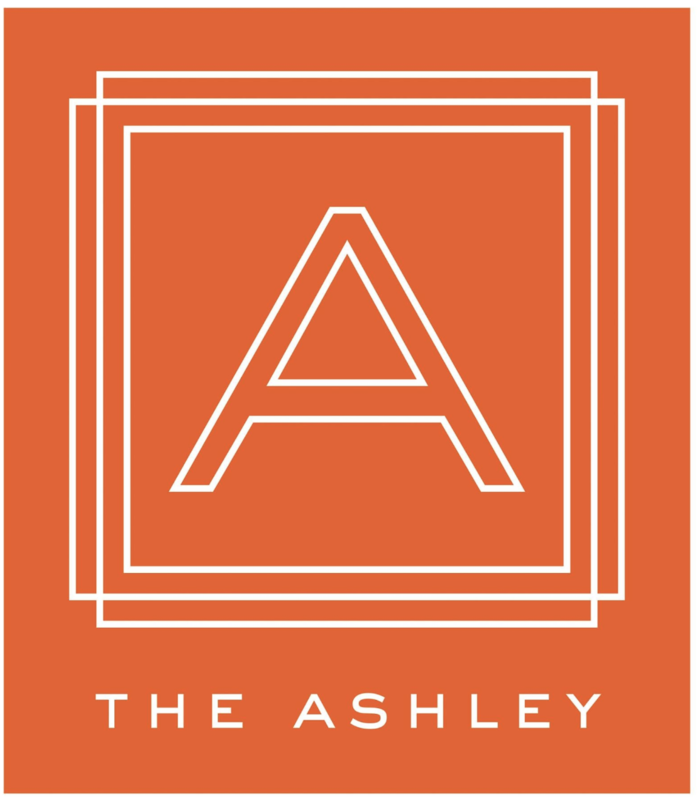 I would recommend The Ashley to all my friends because it is the best rental property in Charleston. My experience at the Ashley has been a delight and we haven’t even moved it yet. There has been such open and clear communication with staff getting everything ready for May! Just renewed my lease! Love this community...management, amenities and the residents! The location is great...close to shopping and downtown. We haven’t even moved in yet, but the staff has been wonderful. They made the stress of finding a new place and signing the lease very easy and stress free. We can’t wait to move in! Great place to live! I'm really glad that I choose to live here. Spacious rooms, wonderful amenities, welcoming community. Could not ask for a better place to live. Great location, really convenient to many restaurants and stores. Great amenities with really helpful management staff and community is well maintained! Clean property, convenient location, great amenities and responsive staff. Though a bit pricy, I would certainly recommend the property to a friend or colleague. Amazing experience beautiful property tastefully decorated club house! Service is great and with a smile! The coffee machine is top notch! Keep up the good work! We just moved in and we are loving the apartment, staff, and neighbors! I am in love with dog park! A lot of big friendly dogs for my fur baby to run wild with! Very nice and quiet community. Nice pool, nice gym, and nice staff. My apartment and neighbors are great. I enjoy coming home after work and I don’t plan on moving. My experience living here has been great. I love how modern and beautiful designed the apartments are. The Ashley offers wonderful amenities. I also like how the staff organizes events for the residents to attend and get to know each other. Really liking it so far! Just waiting for recycling to begin and warmer pool weather! Balcony is great and love the natural light coming in through the big windows. Having in unit laundry has been a gamechanger for me. Absolutely love it here. The one bedroom is perfectly sized, the neighbors aren’t rowdy, and the location is so convenient! I would recommend this complex to anyone. I just recently moved into The Ashley apartments and am so far very pleased. The apartments are new and very clean. The location is great as it is central to many things- downtown, beaches, stores, etc. Our neighbors are nice, friendly, and quiet. So far this apartment complex, the Ashley Apartments, has been great. The recent addition of the dog park has been s huge bonus and shows that they’re constantly trying to improve. So far, so good. Clean and well-appointed facilities. Friendly staff. Elevators would be a welcome addition . . . at least one per building for groceries, etc. I just moved into The Ashley a week ago and love it so far! The apartments are spacious and have a great layout. The location is amazing and is a short drive from just about everything. I love it here and definitely plan to stay until I actually leave Charleston! Great amenities, very responsive staff, friendly neighbors. Still, I do wish we weren't forced to pay for trash service. The community areas are always clean and the staff is very helpful and friendly. The new dog park makes having a dog within the community even easier. We just moved into The Ashley but so far we love it. The leasing people took such great care of us and answered all of our questions. Excited to be living here!